Bringing culture and beauty together. Jewelry was used in many ceremonies and many occasions in the Indian culture. Tribes represented themselves through the jewelry they wore. Not only was Indian jewelry beautiful, but it showed the passion of the craftsman and the tribe. 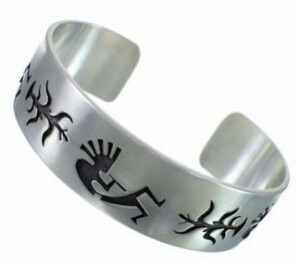 Native Americans Indians are known for their alluring and enticing jewelry. Not only is Native American jewelry beautiful, but it has a rich, deep history behind it. Aspects of culture such as status, spirituality, and social ranking were depicted via the jewelry that a person possessed. This Native American jewelry represented intensity, feeling, spirit, and it would express this to the world. Different tribes could delineate themselves through jewelry, as each tribe had different styles and materials used in the creation of these treasures. A person’s identify was portrayed through the jewelry they wore. Indian jewelers would passionately hand-craft their very own pieces and stylize them by using the natural resources specific to their region. Some of the most popular Indian jewelry pieces include rings, necklaces, earrings, and bracelets. Components such as gold, silver, turquoise, beads, ivory, shells, and semi-precious stones are among the most widely used resources employed in the creation of Indian jewelry. Navajo jewelers mostly used silver to create earrings, buckles, and rings. The Plains Indians would use beads while ivory and shells were brought into use by Northwestern coastal Indians. Hopi Indians, in addition to being silversmiths, utilized shell beads and turquoise in their jewelry. These beautiful pieces of Indian jewelry were a cornerstone of society. Indian craftsmen would create special pieces made of silver and gold for distinct occasions like marriages, dances, and other ceremonies. Often, magnificent pieces would be used as a form of currency. Indian jewelry played a pivotal role in their civilization. © 2019 Indian Jewelry. All Rights Reserved.